A year ago, we posted about the pomegranate’s connection with Christmas, focusing very much on the traditions of Greece, where that fruit plays a central role among the symbols of that festival. This time, we’d like to cast a little glance at another of our destinations, a little further west: at the city of Naples, one of the highlights on our Cruising the Amalfi Coast. As I am writing this, members of my family are arranging a nativity set in our sitting room. It may not be the most spectacular, but it was lovingly made by one of my grandmothers many years ago, and it is part of a tradition that has encompassed both Mediterranean and Northern Europe for centuries. The story of the birth of Jesus in a stable at Bethlehem is among the best-known aspects of the Christian tradition even in this modern age, and the tale is a familiar one to nearly all of us. 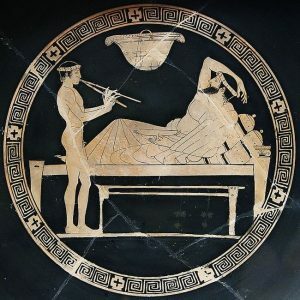 Interestingly enough, it did not form a central part of the earliest Christian art, when – it appears – his resurrection was considered a much more significant factor than his birth to and as a human. 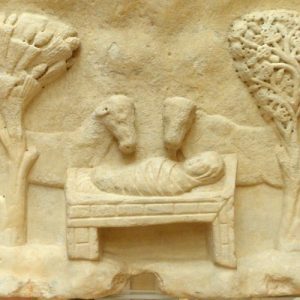 Motifs related to the nativity make their first appearance around the 6th century AD, e.g. 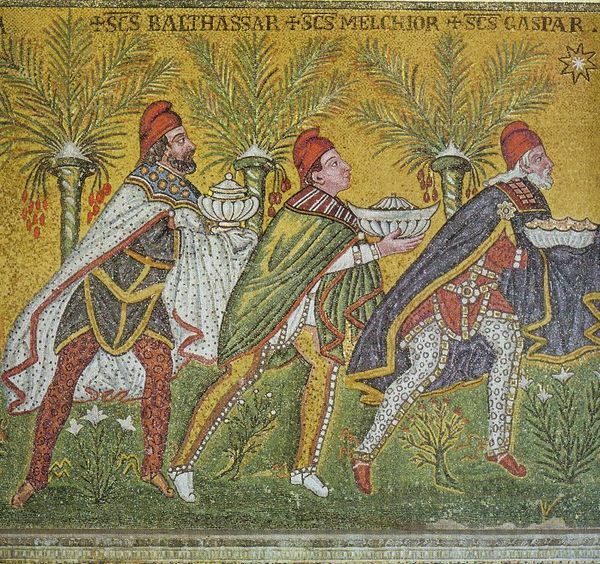 in the famous Byzantine mosaic depicting the Magi, or Three Wise Men, in the Church of Sant’Apollinare at Ravenna, completed in AD 526. But the idea of presenting the whole scene as a set piece, with the manger, Mary, Joseph, the stable, ox and donkey, adorant shepherds, angels and all, is much more recent. It is usually accredited to the 13th century, more precisely to Saint Francis of Assisi. 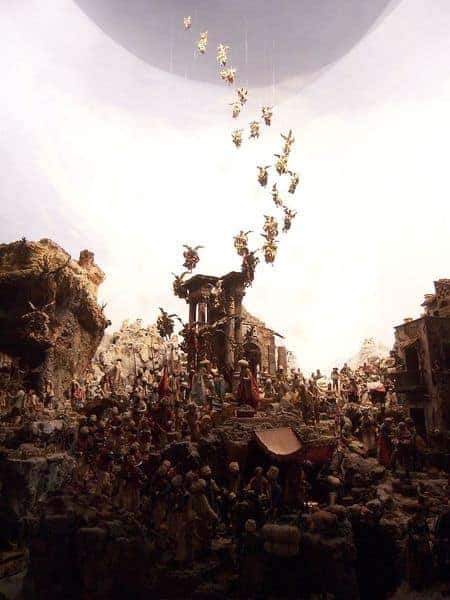 His legend states that in 1226, instead of giving the usual mass on Christmas Day, he arranged for that scene to be acted out in full scale and in 3D, using real people and real animals as a full and lively expression of the astonishing fact that Jesus’s human birth presents within the Christian faith. The tale is a reflection of Francis’s innovative approach to communicating his message in a society that was largely illiterate. Whether that charming story is precisely true or not, a tradition of such real-life nativities became widespread within a century and continues to this day as the nativity play common in Catholic countries and beyond. In parallel with it, but less quickly, another tradition developed: that of model nativities like those we know today. 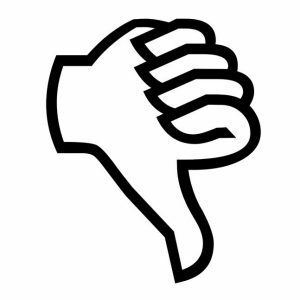 Initially, this appears to have spread among churches and monasteries in Italy. By the 16th century, they also appeared outside churches, in all likelihood first among the wealthier merchants and aristocrats of the Italian cities, such as Naples or Genoa. Later again, the tradition appears elsewhere in Western, Central and eventually Northern Europe, breaking beyond the boundaries of the Roman Catholic church by the 19th century. 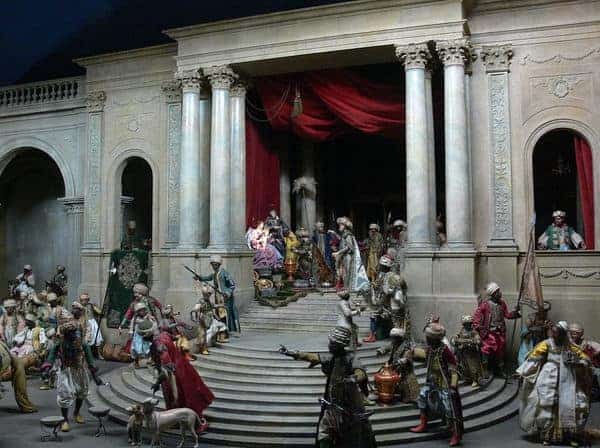 The most fascinating and elaborate tradition within this continuum, and in many ways the starting point of model nativity scenes as we know them, must be the famous presepe of Naples. Immensely popular especially in the 17th and 18th centuries, but still made today, they are veritable masterpieces of miniature art. In spite of their direct connection with a Christian narrative, it would be highly misleading to define them just as religious art. Although a typical presepe always includes an actual nativity, usually in a central position, this is surrounded by an often vast model land- or townscape, with hills and mountains, plants and trees, lanes and streets, farms, houses and shops, villages, harbours and towns. These miniature landscapes do not particularly resemble the Holy Land around the turn of the 1st centuries BC/AD, i.e. the actual setting of the Christian narrative. Needless to say, information on that historical setting would have been more or less entirely beyond the reach of the craftsmen who produced them, but also of their intended audience. Instead, they depict and reflect the reality of their contemporary surroundings, i.e. 17th and 18th century Naples, with elements of historical speculation and exotic imagination thrown in. Most importantly, these miniature sceneries are filled with dozens, sometimes hundreds or even thousands of human figures. 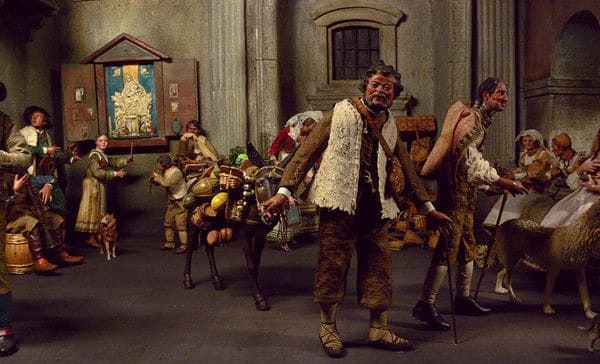 Carefully modelled in wax, paper, clay or wood, they tend to display a romanticised tableau of urban and rural life in Italy, or of how those who could afford such objects saw or imagined it, including peasants and herders, craftsmen and salesmen, children and adults, the poor, the clergy and even the aristocracy. Those Neapolitan nativities are amazing objects to behold, full of lovingly reproduced detail, rich in acute observation and characterised by an immense liveliness and a still-accessible humour, frequently veering on caricature. They are endlessly fascinating, wonderful sources of picturesque but realistic glimpses of Italian life at that time, ranging from architecture via dress to all manner of activities, all the while commemorating a key religious event. The contrast between the dignity of the gospel narrative and the highly varied and rather earthy scenes of then-contemporary life surrounding it is striking. 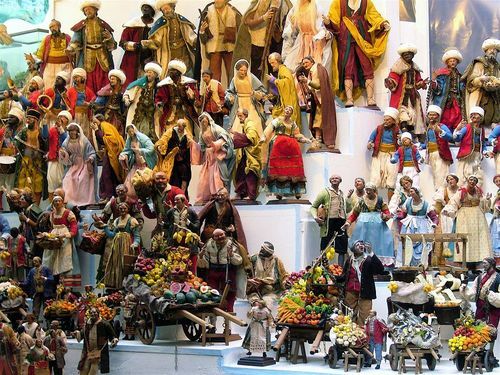 It would be preposterous to assume that the presepe-making artisans simply used the story of the birth of Jesus as a convenient excuse to develop their detail-obsessed masterpieces. Instead, that very contrast between the divine and its worldly setting should be seen as a very apt expression of the Christian narrative itself, which, after all, does tell of Jesus being born into a very real and mostly oblivious world. One way or another, the art of crib-making (for lack of a better word) became a profitable and highly specialised part of Neapolitan commercial life, centred – then and now – on the Via San Gregorio Armeno. The rich tradition of this craft is still alive, now supplying the interests of collectors as much as those of the religious, and offering tourists a highly distinctive souvenir. 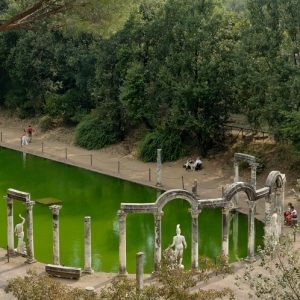 If you are curious about Neapolitan nativities, you could join us on our Cruise of the Amalfi Coast, taking in the Bay of Naples, and add a little time to visit the excellent Museo di San Martino, which displays many key examples. You can also see offshoots of the same tradition in many churches across Italy, not least in Sicily, perhaps on our new tour of Sicily. Further afield, the Bavarian National Museum in Munich includes the Krippenmuseum (crib museum) with about 80 superb Neapolitan nativities. With that, Merry Christmas, Happy Holidays, or whatever else takes your fancy, from Peter Sommer Travels!